Last year, when Voyager I left our solar system for the lonely pastures of interstellar space, it carried a message for extraterrestrial life: A golden record containing images and words selected by Carl Sagan and others. But that was almost 40 years ago. Now, NASA is making a whole new message from the Earthlings of 2014. And it wants your messages. 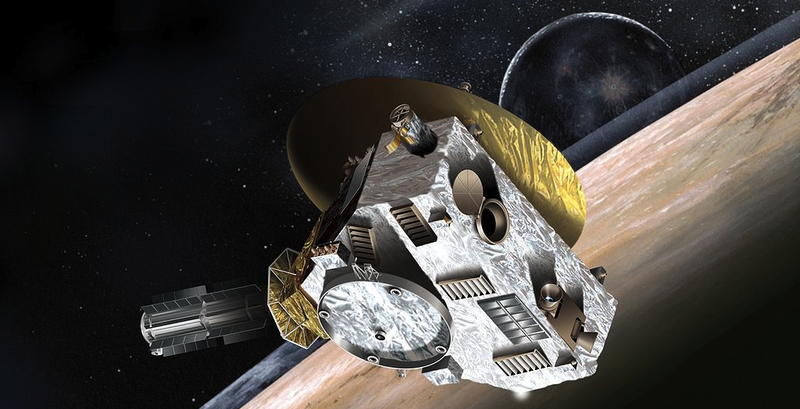 Back in 2006, NASA launched a space probe called New Horizons. This little craft was designed to study Pluto and its moons—which it'll reach sometime next summer. Right now, New Horizons is some 300,000,000 miles away from Earth. But thanks to an idea from Jon Lomberg, who was involved in Carl Sagan's original golden record, this little probe will be undertaking a second mission when it finishes up its study of Pluto and its surrounds. You see, Lomberg realized that when New Horizons finishes sending all its intel on Pluto back to Earth, its system will be left with a whole lot of extra memory. And since we can communicate with the probe—albeit over a lag of, right now, roughly four hours—there's no reason why we wouldn't be able to fill it up with new data. And since it'll be careening further and further away from Earth, perhaps even into outer space, Lomberg suggests that we do something useful with it. Last year, Lomberg launched a petition to push NASA to consider his plan, and started the New Horizons Message Initiative, an independent project to fund and collect a message for New Horizons to carry with it outside of the solar system. You'll be able to submit your message—be it an audio greeting, a Vine, or hopefully not a selfie—beginning next year. It's a very cool project, and it's just another example of how citizen-scientists are coming together to participate in NASA missions, a bit like the group that successfully commandeered a long-lost NASA satellite last month.